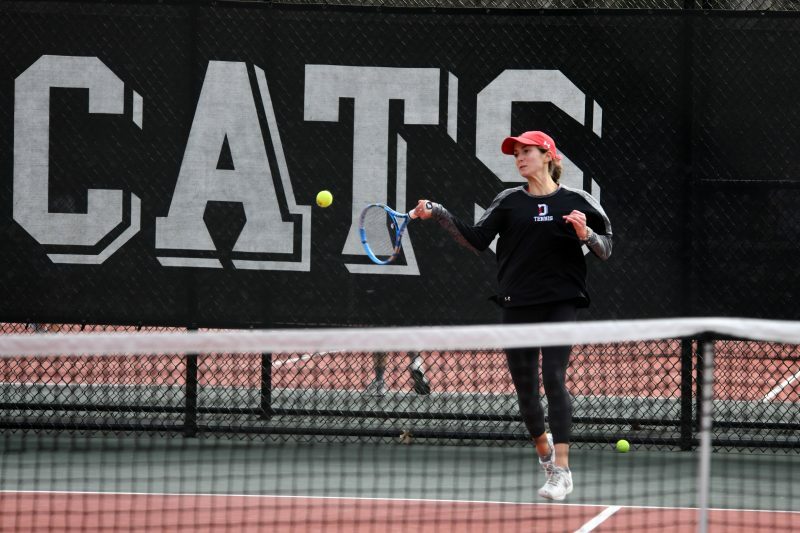 DAVIDSON, N.C. — Davidson took five of the six singles matches and got back on the winning track by scoring a 6-1 win against Gardner-Webb Saturday afternoon in women’s tennis at the Davidson Tennis Courts. The Wildcats (5-2), who moved to 3-0 at home, regrouped after dropping its previous two matches to win its fifth of the season and send GWU to its first defeat in two matches. Davidson took wins of 6-2 and 6-3 at No. 2 and 3 doubles, respectively, to go up 1-0 in the match. 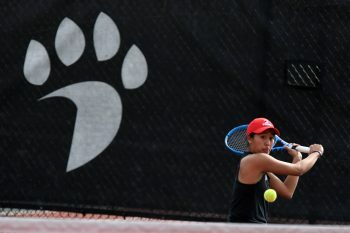 The pair of Samantha Armas and Alexandra Abele won their fourth doubles match together at No. 2, while the duo of Gabrielle Centenari and Nicole Krykanov remained perfect at 3-0 on the season. The winning continued in singles play, with Centenari, Abele and Armas leading the way at the top three spots. Centenari moved up to No. 1 and tallied a 6-4, 6-1 win, while Armas moved to 6-1 on the season with a strong 6-2, 6-2 victory at No. 3. Abele also won her sixth match of the year, needing a super tie-breaker to seal up the win when she scored a 10-3 victory to determine her match. The junior split her first two sets, 7-6 and 2-6. Freshman Elizabeth ran her singles record to 5-2 with a 6-2, 6-2 win at No. 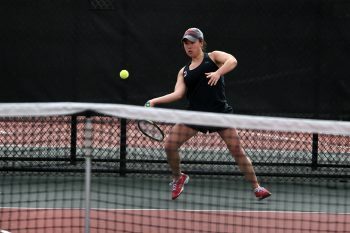 4, while fellow classmate Mira Gladstone won her third of the season behind a 6-1, 6-3 decision at No. 6. Davidson travels to Elon for a Feb. 16 match at 1 p.m.